1. Soak cut up potatoes in cold water overnight. Before deep-frying, remove potatoes from water and pat dry. 2. Using deep-fryer, heat canola oil to 375 °F (190 °C). Deep-fry for 8-10 minutes or until lightly golden. 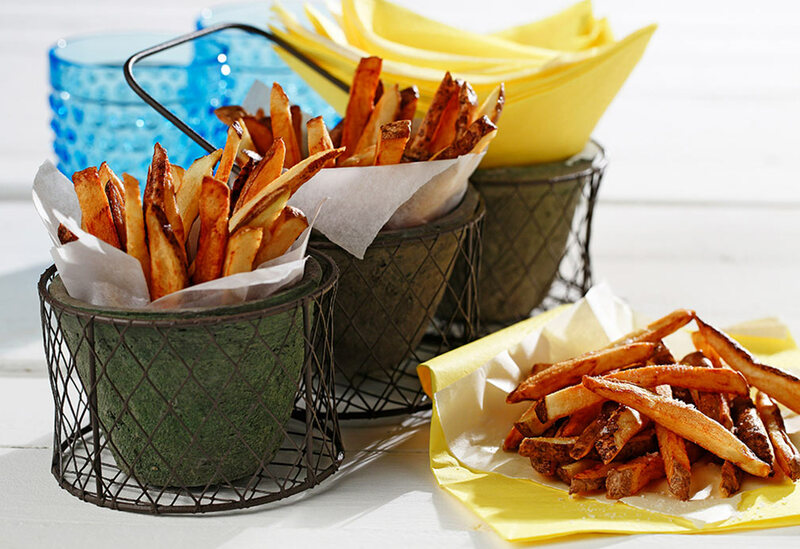 Remove fries from fryer and drain on paper towels. 3. 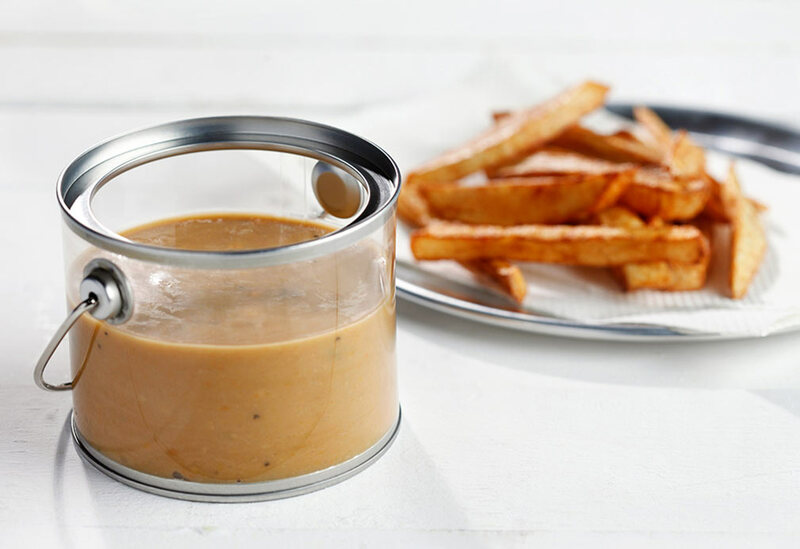 If necessary, in saucepan, reheat 2 cups (500 mL) poutine gravy (recipe below) and set aside. 4. 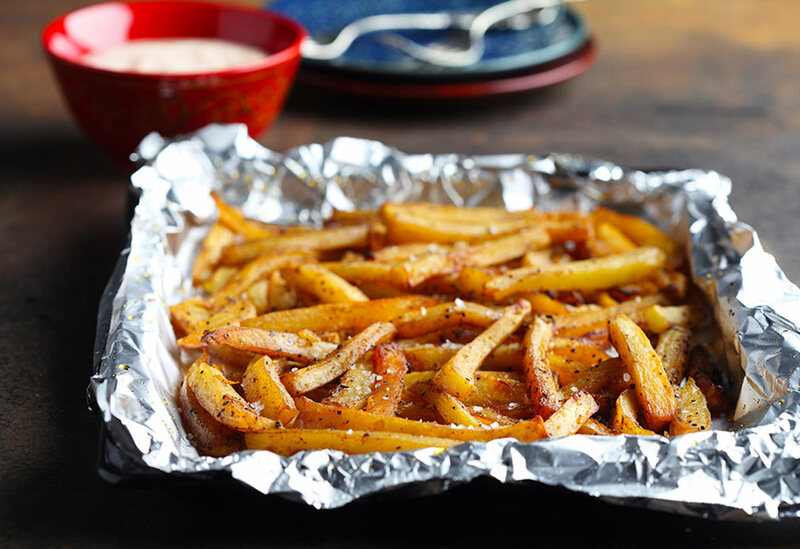 Return fries to deep-fryer and fry for additional 3-5 minutes or until golden brown. 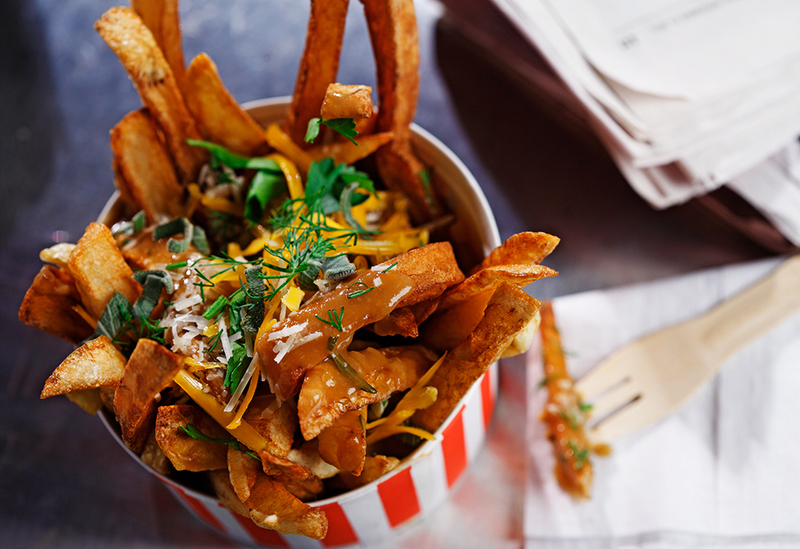 Remove from fryer to stainless steel bowl. Add gravy, cheese and herbs. Stir gently to combine. Season with salt and pepper. Serve. 3. Season with rosemary, salt and pepper. Simmer for additional 10 minutes. 4. Using immersion blender, purée gravy. Leftover gravy can be frozen for future use.